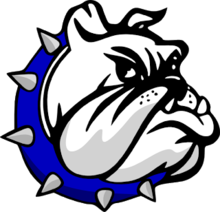 ASHLAND — The 2017-2018 season kicked off for the Crestline Bulldogs basketball team on Friday night at Mapleton High School, where the visiting ‘Dogs clashed with the hosting Mounties in non-conference action. Crestline would waste no time getting in the win column for the season, handing Mapleton the loss; 66-48. For the evening, the visiting Bulldogs had three players finish in double figures. Kaden Ronk led the way for Crestline, pouring in 20 points on 8/11 shooting, including 4/6 from three-point range. Davon Triplett came off of the bench and shot 6/9 from the field and 3/6 from the free-throw stripe en route to 15 points in the win. Ty Clark recorded 13 points in the victory on 6/10 from the field and 1/2 at the line and rounded out his stat line with eight rebounds and two assists. The Bulldogs lead 17-14 after the first quarter of play and would outscore the hosting Mounties 20-11 in the second to head into halftime up 37-25. Both teams chimed in with 10 points in the third before the visitors pulled away in the fourth by outscoring Mapleton 19-13 en route to the eventual final score of 66-48. Zach Gregory scored six points, grabbed seven boards and recorded a blocked shot for the visitors on the night. Max Anatra also scored six while snagging three rebounds and dishing out five of teams 10 assists. Kevin Winkler added four points and Caleb Hoskins put in a bucket for two points to round out the Crestline scoring attack. Other stats for the ‘Dogs were: Team- 26/48 (54%) total field goals, 21/39 (54%) from two, 5/9 (56%) from three, 9/18 (50%) free-throws, 7 offensive rebounds, 25 defensive rebounds, 10 assists, 2 blocks, 4 steals and 15 turnovers; Winkler- 4 rebounds, 3 assists; Gregory- 1 steal; Ronk- 2 rebounds, 1 block; Anatra- 2 steals; Gavin Balliett- 1 rebound; Triplett- 1 rebound; Noah Snyder- 2 rebounds and Hoskins- 1 rebound, 1 steal. The Mounties had two players finish in double figures for the contest. Austin Sanders scored 15 points and Rodrigo Corrochano chipped in 11 points for the home team in the loss. Next up for Crestline will be a home contest with the Temple Christian Crusaders on Monday, December 11.